Mini Mokes are very popular, even to this day. Especially in Monaco, for some strange reason. But BMC stopped building the Moke in 1969 – their loss, as other companies sprouted up to build similar cars based on the popular and easy-to-find Mini. One such company was Robert Mandry’s Scamp Motor Company (which is still around today). The Mk I Scamp went on sale in 1969 and was available through 1977. The cars were built using mostly Mini parts and the owners were responsible for some of the construction. This particular example uses a 1.1-liter straight-four. Mk I production was about 200 per year – not a lot, but not nothing. 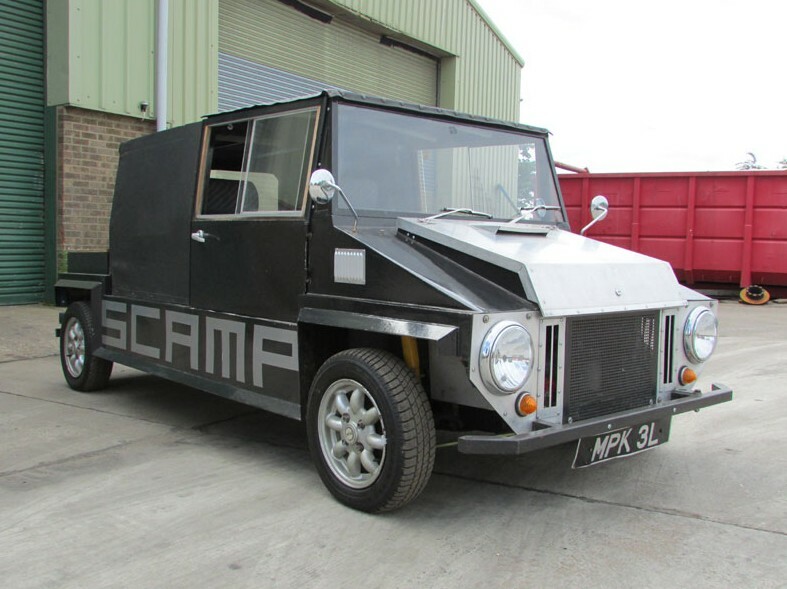 There were dozens of other manufacturers doing similar tings, but Scamp’s are fairly unique. This version is a pickup with some kind of canvas-covered mid-section. It’s interesting. This one, described as being in “good condition,” should bring between $4,000-$5,250. Click here for more info and here for more from this sale. This entry was posted in Uncategorized and tagged 1972, auctions, cars, classic cars, h&h auctions, h&h classics, kit cars, mini, mk i, scamp by classiccarweekly. Bookmark the permalink.